My kid's celebrated their official last day of school this past Friday, so Summer is now in full swing in our home. While I certainly enjoy the relaxed schedule - there is still a definite need for some level of structure and routine. 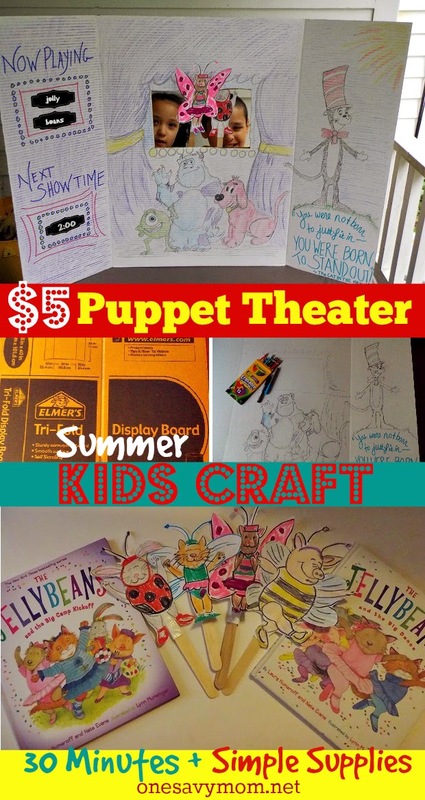 Both of my kids have Summer reading lists - so I thought it would be fun to extend on the reading fun with a fun Puppet Theater Kids Craft last weekend. 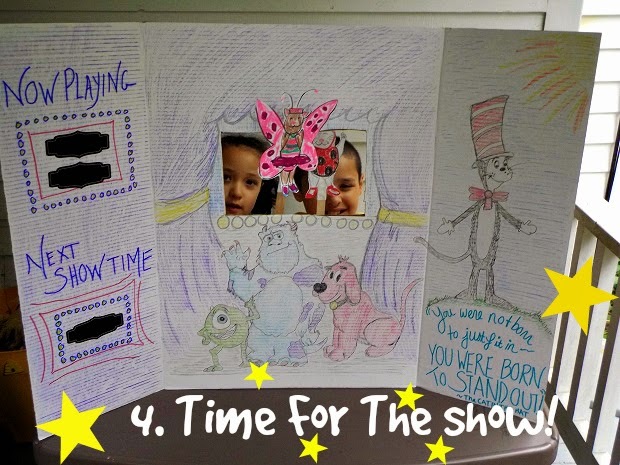 This homemade DIY puppet theater was super fun to make and only costs about five dollars to make (the $5 price tag includes pop sticks for DIY puppets as well). 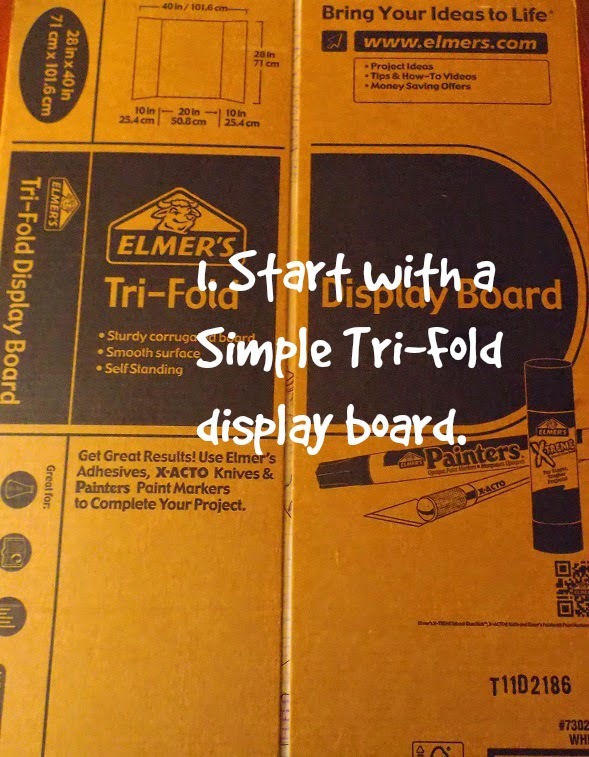 We used a Elmer's Tri-fold display board (project display board) and a few additional (simple) supplies. 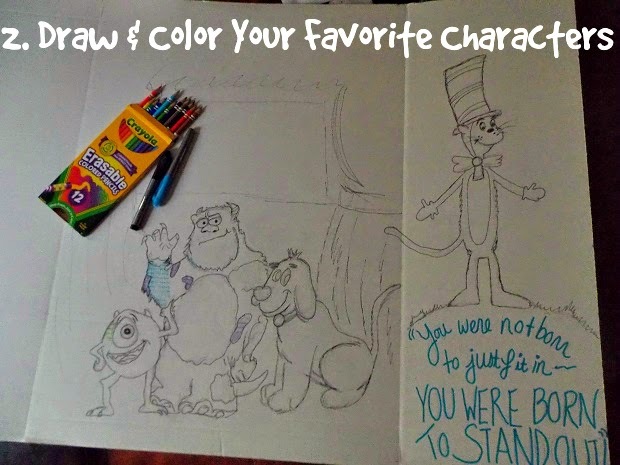 My children love asking me to draw their favorite characters and they color them in - so that's exactly what we did with the puppet theater. I sketched their current favorite's and they colored them in using Crayola Erasable Colored Pencils. 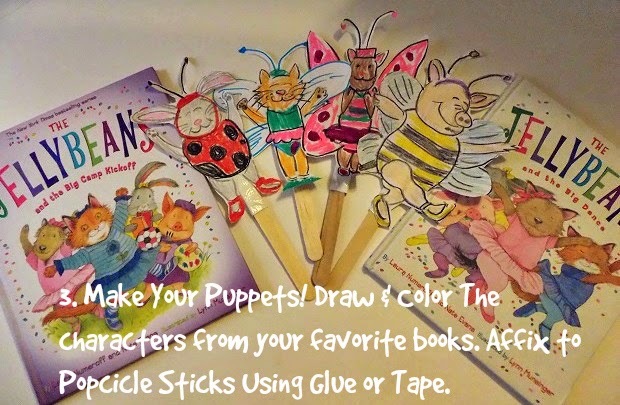 You could just as easily print off some colored images of your children's favorite character's and decoupage them onto the puppet theater. We picked up the Tri-fold project display board at Walmart for $2.50 and a big back of Popsicle sticks for $1.99. Having the kid's act out the story-line's of the books that they are reading also helps to ensure retention, so theirs an added educational benefit tho this craft/activity as well. Fun, educational, and frugal!